Jessie & Jake: Christmas is coming with T2! 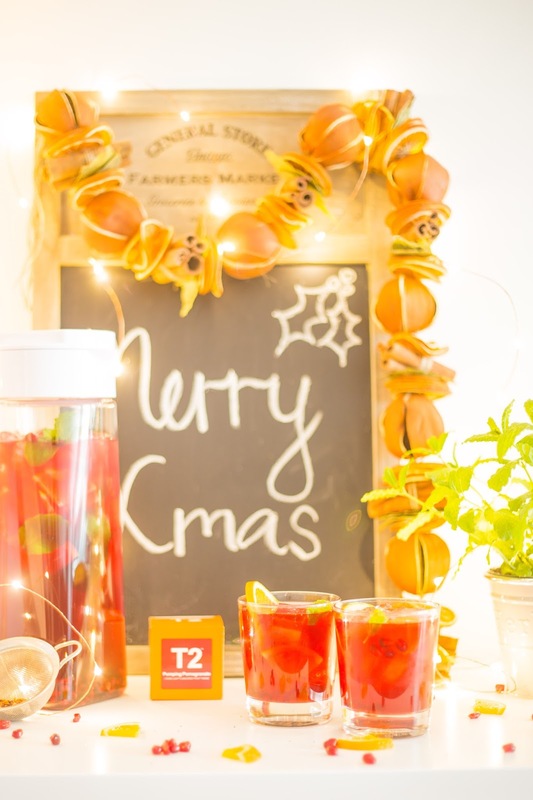 Christmas is coming with T2! I love Christmas, Yip I'm A Christmas nut and I don't care who knows it! I love finding the perfect gift for family and friends. I seem to have quite a knack for it! This year Jake and I have decided to do some home made gifts for our friends and family. 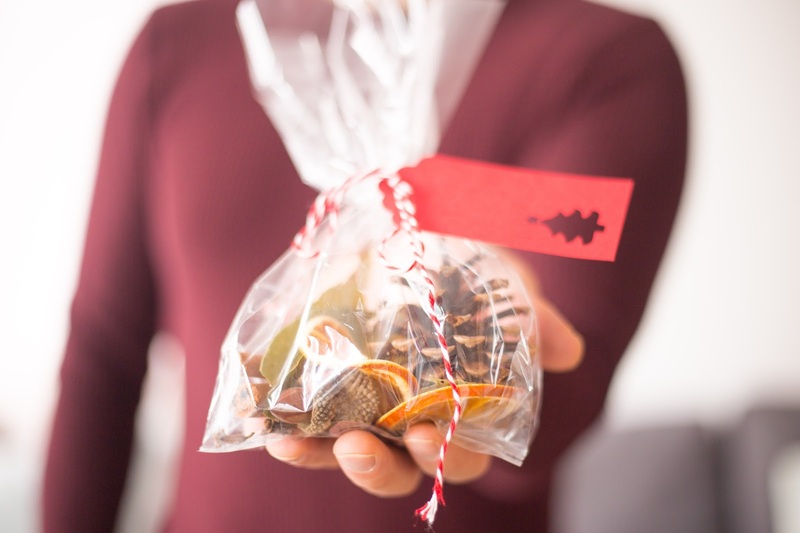 I think homemade presents are extra special as they can be so personal and really show someone that you’re thinking of them at this time of year. 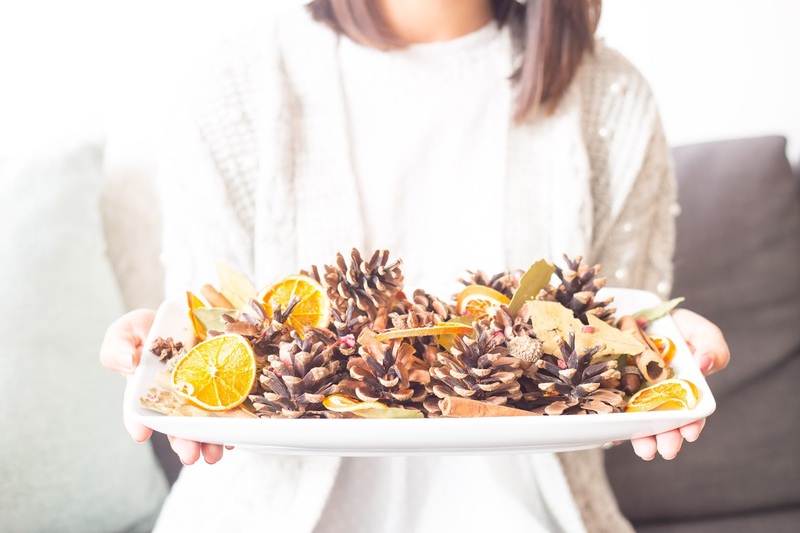 Decorating is a key part of Christmas, but did you ever think about making your home smell like Christmas? 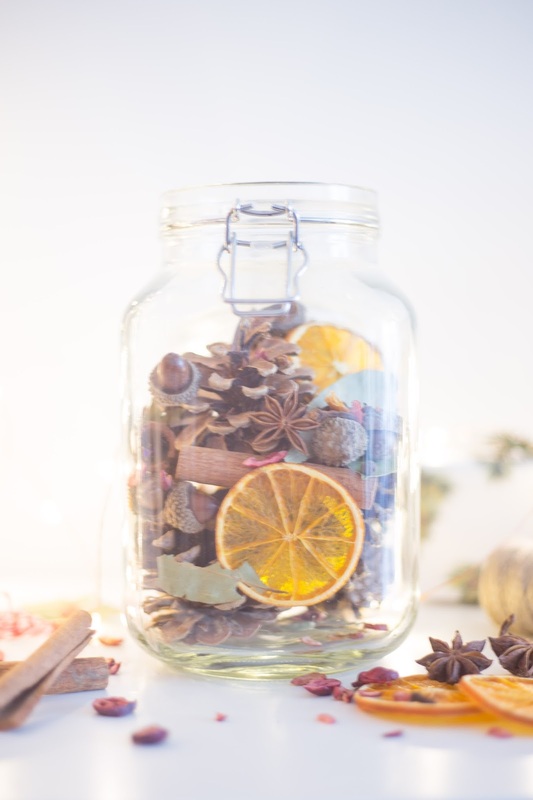 This year we decided to make Christmas Potpourri not only makes your home smell incredible, it can also act as a lovely focal point, adding to your festive decorating. 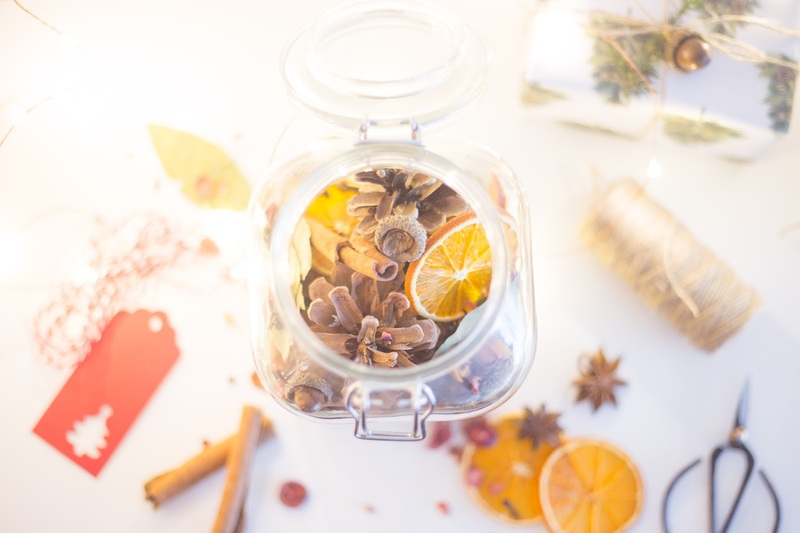 We set up a bowl and a jar in our living room to make our house smell like Santa's grotto. Along with putting some into cute, festive gift bags to give to our friends and family. Jake also made an impressive garland that we hung over our Christmas board. 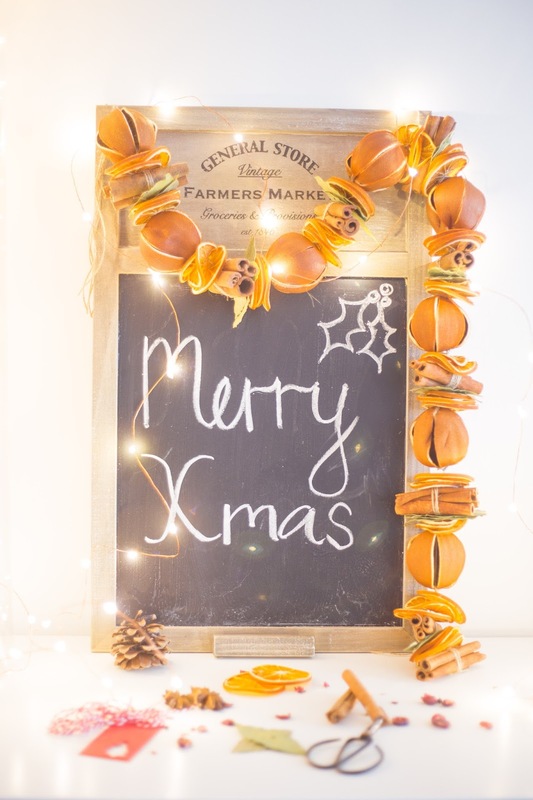 Dried whole and sliced oranges, cinnamon quills, bay leaf and a long piece of twine was all it took and it smells amazing! 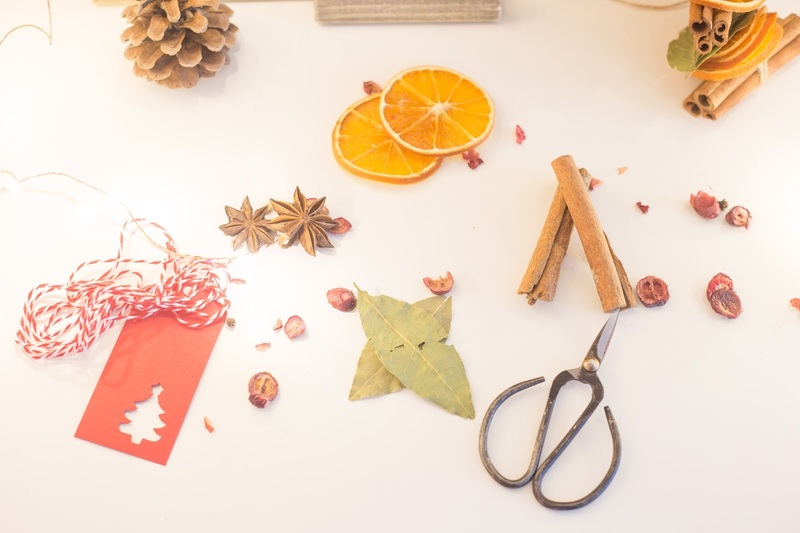 Insider tip: purchase a small bottle of sweet orange pure essential oil and you can drop some over the garland to give it an extra fragrant boost. Cut your oranges into thin slices and then place in the oven for 3 hours at 100°C. Keep an eye one them and let them dry completely before placing them in the arrangement. If they start to curl, flip them over mid way through. Alternatively you can also buy pre dried orange slices online. Simply place all the above ingredients into a bowl or jar and arrange. 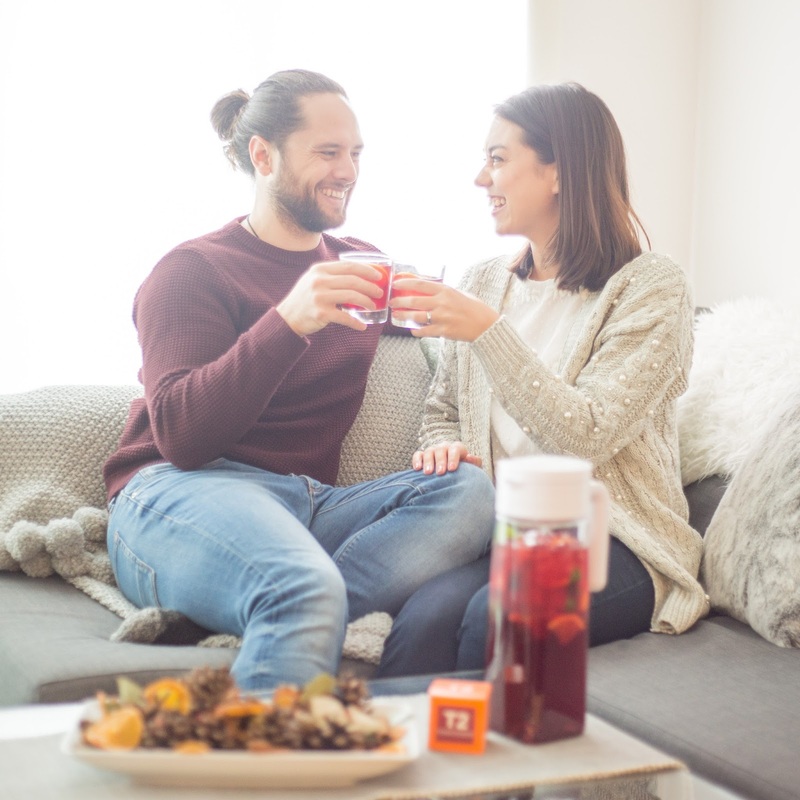 After all our hard work and our house now smelling like Christmas we decided to treat ourselves with a glass of iced tea. 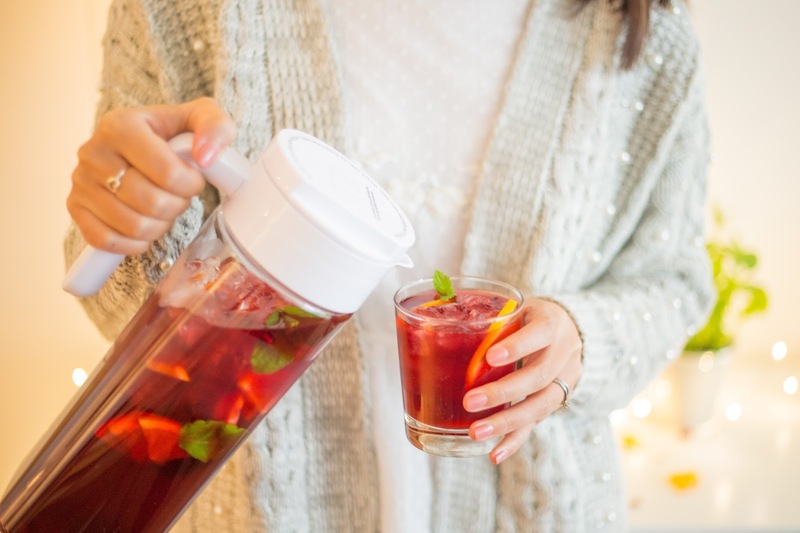 Sticking with Christmas colours we went for a glass of pomegranate iced tea made with our own T2 Jug-a-lot. 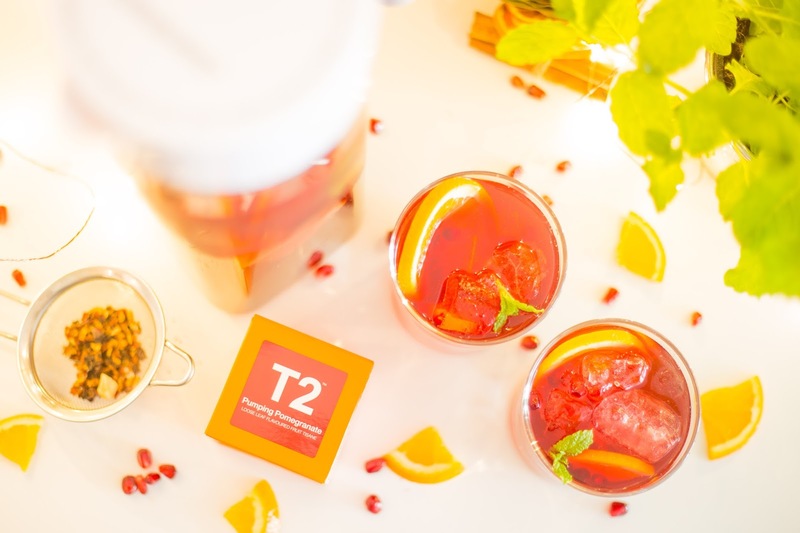 Just another another amazing T2 product from their Christmas launch party celebrating their Joy to the Wild campaign. 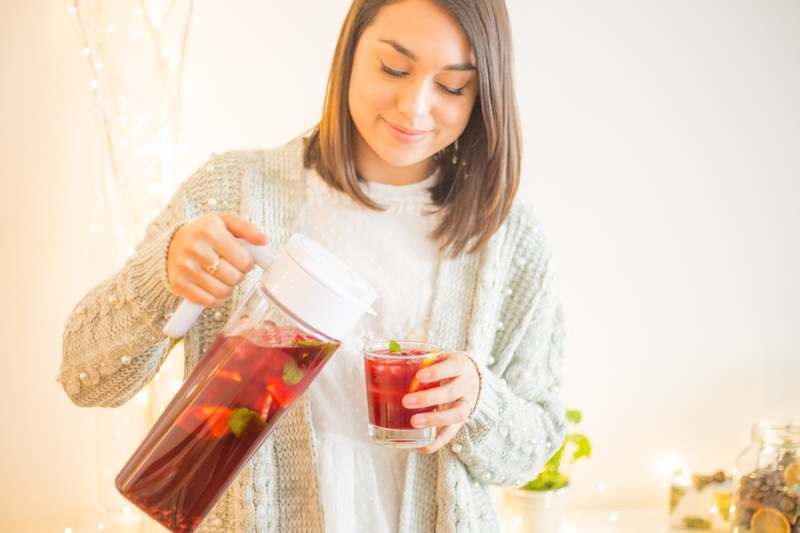 I love fruity teas and especially this Christmassy flavour. It's so easy to make you just add water, ice and you're all set. 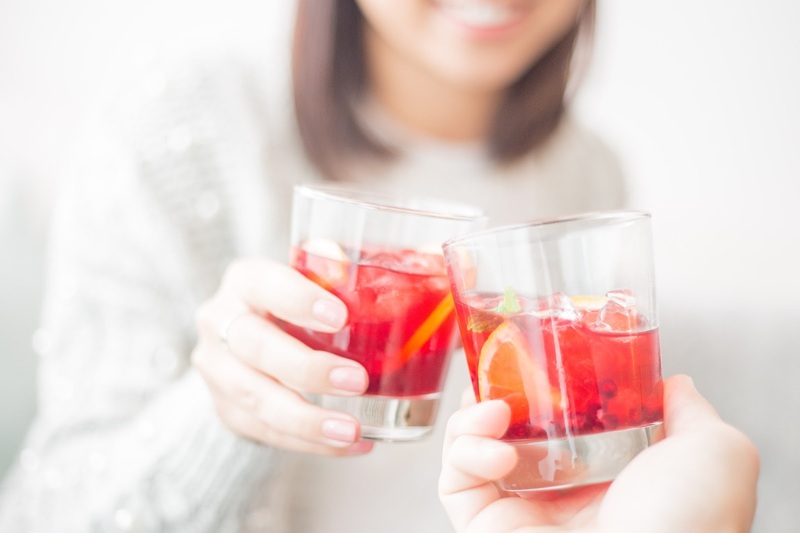 We made ours a bit more festive and decorated it with some pomegranate seeds, orange slices and fresh mint. Thank you to T2 for the invite to their Christmas launch party and for the gorgeous gifts.